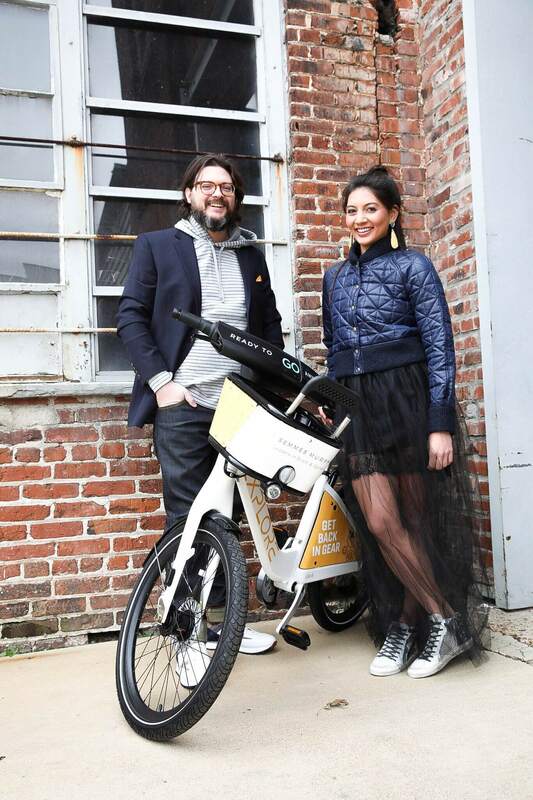 Every February, 4Memphis stars a non-profit in our fashion editorial as an opportunity to bring awareness to our readers of all of the wonderful and caring outreaches in our thriving community. 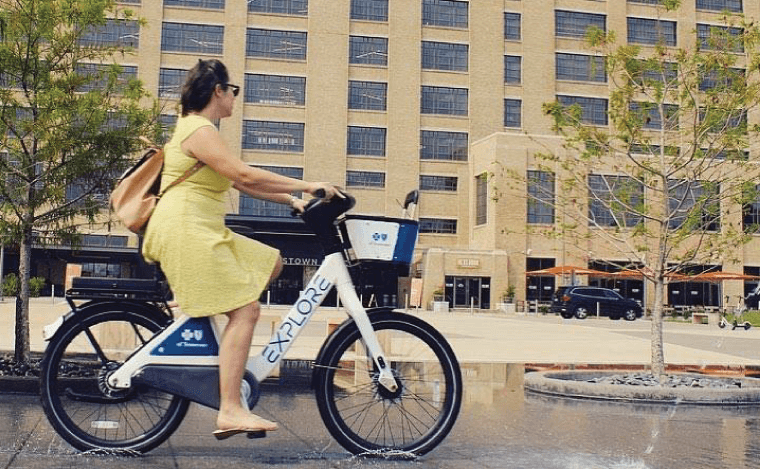 This year, we are featuring the Pathfinders of Explore Bike Share. 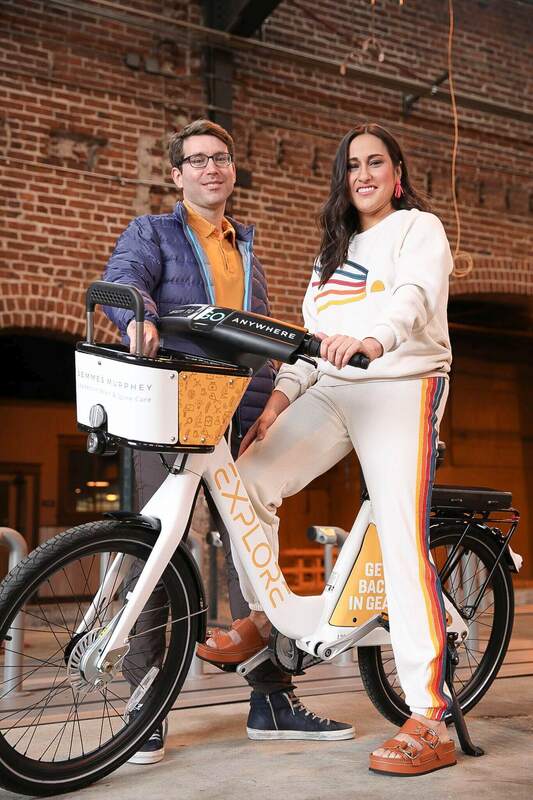 The Pathfinders are promising young leaders who are active in various city and charitable roles and serve as advocates for Explore Bike Share. 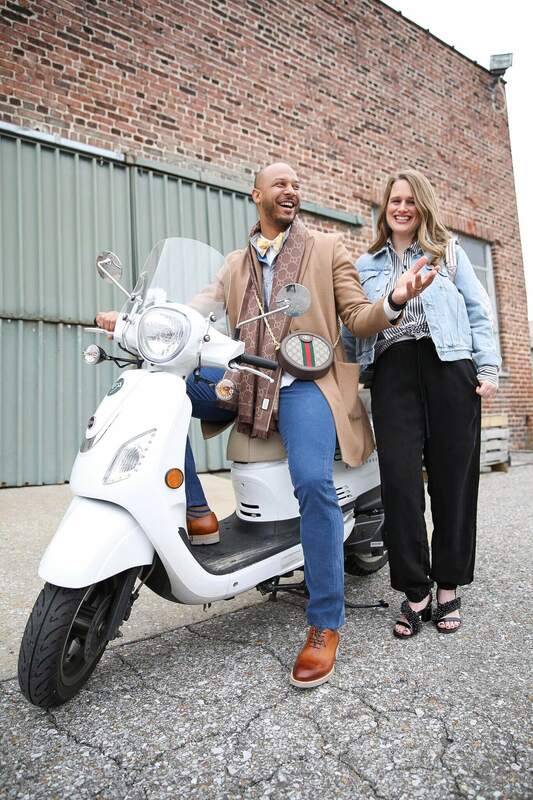 We introduced them to you in our past October issue and this time around, eight Pathfinders graciously agreed to play fashion shoot for just one day at the downtown warehouse where all the coolest bikes and mopeds are stored. It was a blustery day but we had fun with these bright young folks and some really fresh athletic – inspired casual clothing with lots of sporty stripes, cheerful colors, and graphic details. 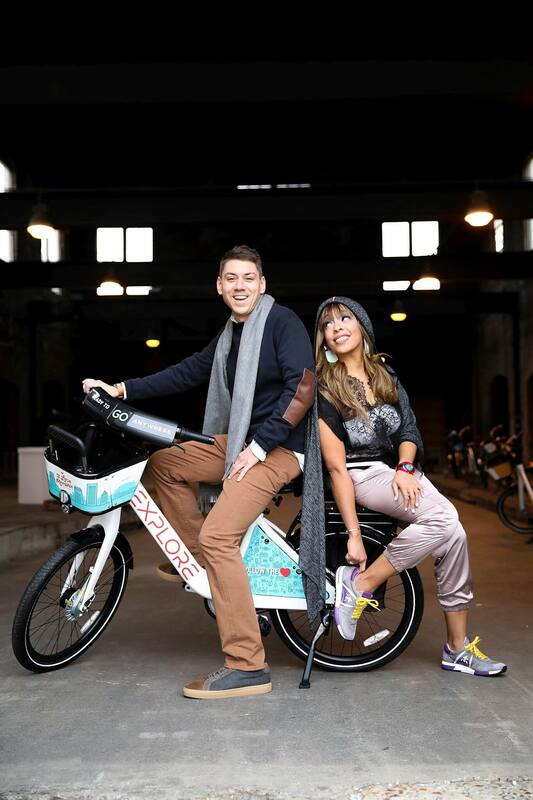 We may have pushed a few boundaries with our looks, but everyone was easy and in the end, it was just like riding a bike. ON CLAIRE: ‘70s inspired matching sweatshirt and pants, sandals, both from Oak Hall. Pink Tassel earrings from Kittie Kyle. ON GEORGE: Sweater, jeans, sneakers; all from Oak Hall. Grey cashmere scarf from James Davis in Laurelwood. ON LESLIE: Hoodie cardigan from Sorelle. Joggers, lace top, bandeau; all from Kittie Kyle. Sneakers from Oak Hall. Watch and earrings from Joseph in Laurelwood. ON ROBERT: Jeans, striped hoodie, sneakers, all from Oak Hall. Pocket square from James Davis in Laurelwood. ON MARIKO: black tulle skirt, short navy puffy jacket, earrings, all from Kittie Kyle. High tops from Joseph in Laurelwood. ON JUSTIN: puffy vest, peacoat, pants, oxfords; all from Oak Hall. Scarf and man bag from Joseph in Laurelwood. Bowtie and button down, his own.